In May 2007, I had the privilege of meeting with former Israeli Prime Minister Benjamin Netanyahu, who was then leader of the opposition in the Knesset. During the conversation, I mentioned to the soon-to-be longest serving Prime Minister of Israel that I had recently penned an op-ed comparing him with his hero Winston Churchill and predicting his return to power eventually. “Keep that article preciously, because I will indeed come back and I will prove you right”, he said with his legendary deep voice. 2 years later he was back at the helm of the country. Three days ago, on April 9th, “Bibi” contradicted those who were already drafting his political necrology by winning a fifth term. I was personally not surprised at all with this result and, in all honesty, I was happy with the outcome because I always admired the statesman who is now called “King Bibi” by many commentators. I followed every campaign led by Benjamin Netanyahu (since 1996) with tremendous interest and the last one was no exception. And the best companion during the last couple of weeks was the excellent biography Bibi: The Turbulent Life and Times of Benjamin Netanyahu by Anshel Pfeffer. Through this real page-turner, Pfeffer offers the key to understand Netanyahu. Throughout the years, the young Netanyahu spared no effort to master the art of public relations, networking and political maneuvering to reach the top of the greasy pole. And the ride was everything but smooth, if only because he had to confront and vanquish those we call “the princes” – the sons of the Herut-Likud establishment, of which Netanyahu was never a part. 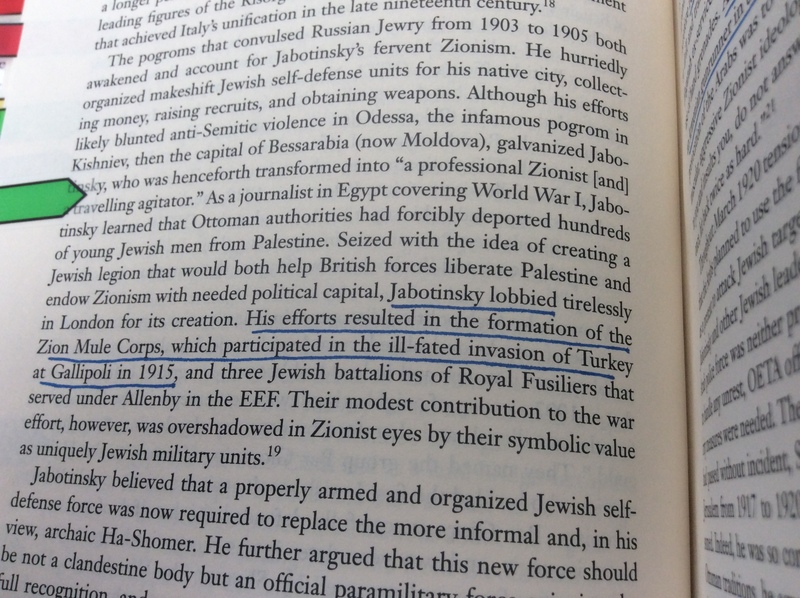 Their importance on the political chessboard was such that Anshel Pfeffer refers to them frequently in his book. But that does not change that fact that, even if Ehud Olmert, Dan Meridor, Ronny Milo, Benny Begin and even Tzipi Livni were all once key figures in Israeli politics, they’re now a footnote in history. Netanyahu outsmarted them all and his name can still be read in the headlines. Right from the start, Bibi learnt to swim against the current and how to rebel against authority. From his “defiant opposition” to his father – with whom he had a particular relationship and who was against his decision to do his military service – to being yelled at on the phone by US Secretary of State Hillary Clinton and navigating in the cut-throat and unpredictable environment of the Likud, where today’s friend is tomorrow’s nemesis, Netanyahu conquered the iron throne of Israeli politics and cut himself a place as a dominant figure on the world’s scene, from the Halls of the Kremlin to the Oval Office passing by an official visit with Chinese President Xi Jinping. I’m realistic enough to know that Bibi’s reign will come to an end one day – even though I will be among those who will be sorry to see him go. No one, after all, is immortal. But if one has to learn only one lesson from last Tuesday’s election, it is that “King Bibi” does not intend to let any prince touch his crown. Long after the famous HBO legendary series will have ended, the game of thrones of Israeli politics will continue. It will be fascinating to observe and I’m sure we’re in for many surprises. Anshel Pfeffer, Bibi: The Turbulent Life and Times of Benjamin Netanyahu, Toronto, Signal, 2018, 432 pages. My understanding of history and my numerous visits in Israel nourished my conviction that – confronted with continuous and lethal threats since its rebirth in 1948 – this country would not have survived without the capacities of the Israel Defense Forces (IDF). A recent article by Raphael D. Marcus in the Journal of Strategic Studies has brought yet another proof to support this assertion. If it was to be victorious, IDF needed to cope with the new reality. And, based on a “[…] leadership style that is open and dynamic [and] which improves its ability to learn and adapt” – in the pure German military tradition of Auftragstaktik – it did just that, relying on the autonomy, creativity and audacity of its human capital – its boots on the ground. The Yahalom Unit (the main unit with expertise in underground warfare) was therefore tasked with the development of the operational response to Hamas tunnel warfare and to share its expertise with other units on the ground. The forces active on the theater of operations could then implement the lessons learnt and improvise the actions to be taken to destroy the tunnels and neutralize the enemy. I just loved every page of that excellent article, which I recommend to anyone interested in learning how the best military minds craft victories. King and Country figurines IDF006 (Radio Operator), IDF001 (General Moshe Dayan) and IDF004 (Officer w/UZI) pictured on a flag of Israel. Some time ago, I was thrilled to learn that King and Country was about to release the very first IDF (Israel Defense Forces) figurines of its fantastic collection, to commemorate the 50th anniversary of the Six Day War in June 1967. That says it all and I’m very happy that King & Country has decided to honour the sacrifice of these men and women at a time of great peril for their homeland – the State of Israel. At the same time, we have to be lucid enough to recognize all the courage it took for this company to make such a bold decision and go forward. In a world where Israel’s enemies are always prone to deny it any quality and even its basic right to exist, it’s imperative to salute those who are not afraid to row against the current. The brave men and women who serve Israel in its armed forces deserve it. Fully. In the Gregorian calendar, which we Catholics use, May 14th marks the anniversary of the rebirth of Israel. On that day, in 1948, David Ben-Gurion proclaimed the State of Israel at Dizengoff House (now known as Independence Hall) on Rothschild Boulevard in Tel Aviv. Few years ago, I had the privilege of visiting this historical building. For any friend and supporter of Israel, this is a very humbling and profound experience. Mostly when you understand that, from there, Israel directly went to war against the Arab armies to guarantee its very survival. Whatever your political inclinations (he was a left-winger and I’m a conservative), you can’t be indifferent to that giant of history. Ben-Gurion certainly was not the only one who contributed to the rebirth of Israel. But he was the man who paved the way to Independence Hall. Probably one the best ways to summarize the birth of Israel, on May 14th, 1948. There’s not much I can add, except that it is just excellent. Thanks to the Jerusalem Center for Public Affairs (@JerusalemCenter on Twitter) for sharing this.